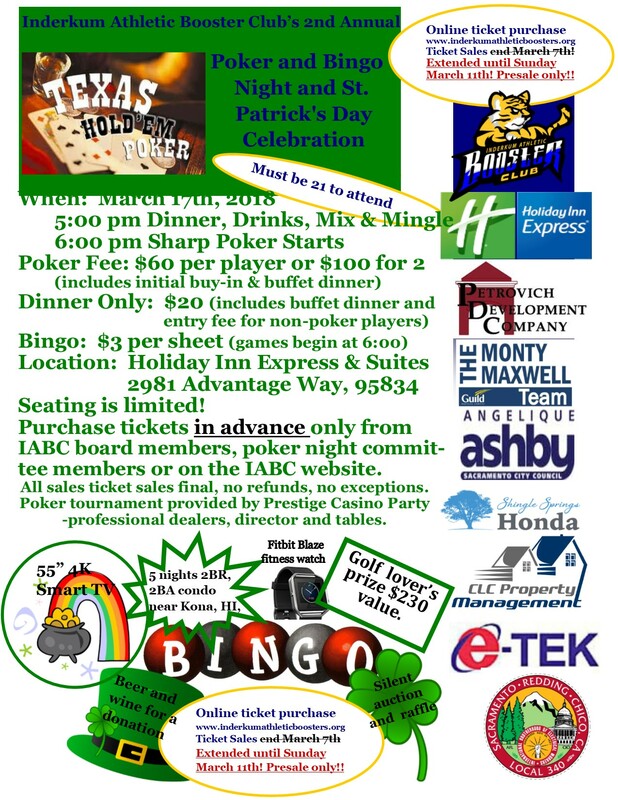 Join us for Poker Night on March 17th! Poker starts at 6:00 pm SHARP! DO NOT BE LATE for the poker tournament! Prestige Casino is running the poker tournament and have told us they will start on time. Once it starts there is no entering the game late.